An easy to use polyurethane expanding foam. Available in hand held or professional gun grade version. Hand Held Expanding Foam 750ml (12 Pack) is rated 4.3 out of 5 by 27. Rated 5 out of 5 by Oleman12 from Good gap filler easy to use. I bought this to draft proof gaps under the bath. It filled the gaps between the floor joist and pipes with loads to spare making the bathroom warmer.. Rated 1 out of 5 by Paulthedriller from Very poor quality Used this foam around a newly installed door frame. Foam expanded out words and looked fine. Cut off exsess foam when fully dry only to find no foam what soever in the gap I was trying to fill. Do not buy this product. Rated 4 out of 5 by Edengarden from Great filler for holes in walls. This is quite a large amount of expanded foam so it’s a good idea to have a couple of extra jobs in hand for it, as it is far better to use it all quickly, rather than having to clean the nozzle for storage, which is only a month once opened. Has to be held upside down to work properly so important to have space for this. Keep shaking the can during prolonged use as the solvent inside could spoil the expansion properties if not mixed sufficiently. It also starts to eat the existing expanded foam if sprayed on it. Probably 85-90% of the contents worked well and just the last few drops didn’t mix sufficiently. 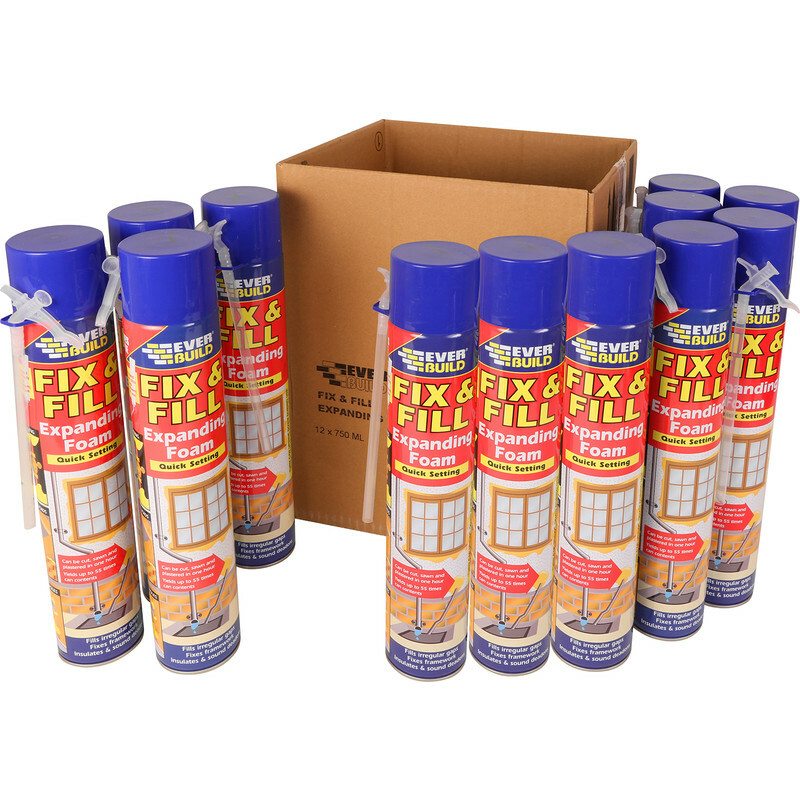 Rated 5 out of 5 by Wammers from Excellent value for money expanding foam Great value for money. Did the job as well as any more expensive foam would. Excellent adhesion and expansion properties. Wouldn't hesitate to buy it again.